Altering a scaffold can have serious consequences. An average of 1,000 serious injuries occur every year in the UK due to scaffolding. Three quarters of these accidents were caused by planking, structures giving way, falling debris or slips and trips. All employees have a responsibility to ensure they are not putting lives at risks by altering scaffolding. 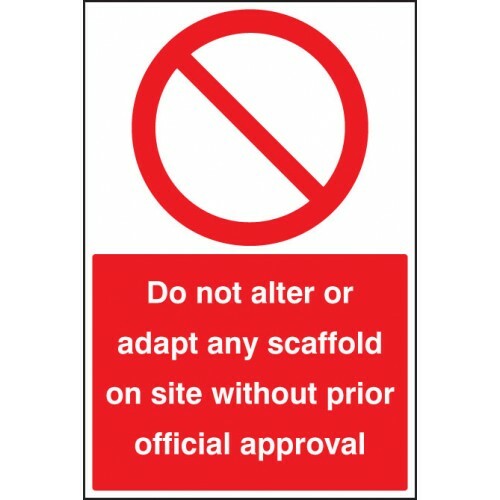 This safety sign ensures that staff are made aware that alterations to scaffolding on this site is strictly forbidden without official approval.